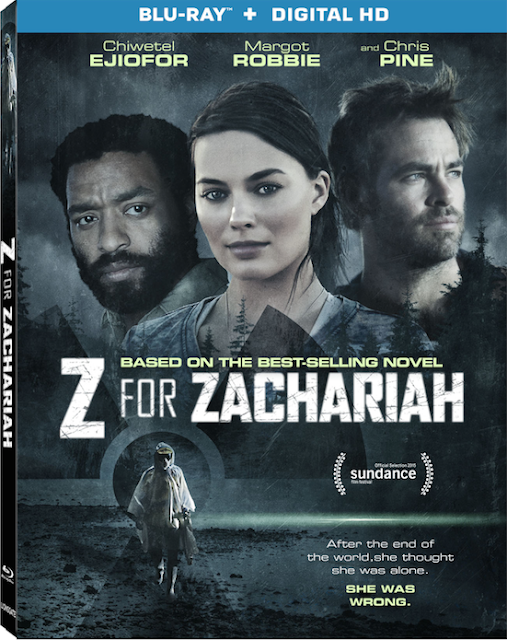 Giveaway Contest: Win One of Two Copies of Z for Zachariah! Audiences will be mesmerized by the provocative thriller Z for Zachariah, arriving on Blu-ray (plus Digital HD), DVD (plus Digital), and on Digital HD October 20 from Lionsgate Home Entertainment. Delivering stunningly captivating performances, Academy Award nominee Chiwetel Ejiofor (Best Actor, 12 Years a Slave, 2013), Margot Robbie (The Wolf of Wall Street), and Chris Pine (Star Trek franchise) star in this post-apocalyptic tale set in the wake of a disaster that wipes out most of civilization which pits the world’s last three survivors against one another. Enter to win one of two copies of this film by clicking the link below! She Thought She Was The Only One. 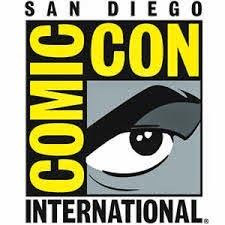 SANTA MONICA, CA (August 31, 2015) – Audiences will be mesmerized by the provocative thriller Z for Zachariah, arriving on Blu-ray (plus Digital HD), DVD (plus Digital), and on Digital HD October 20 from Lionsgate Home Entertainment. The film is now available On Demand. Delivering stunningly captivating performances, Academy Award nominee Chiwetel Ejiofor (Best Actor, 12 Years a Slave, 2013), Margot Robbie (The Wolf of Wall Street), and Chris Pine (Star Trek franchise) star in this post-apocalyptic tale that pits the world’s last three survivors against one another. 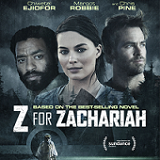 Nominated for the Grand Jury Prize at the 2015 Sundance Film Festival, the film was praised by TwitchFilm as “one of the best of the year,” calling Z for Zachariah “a gem of a film.” Directed by Craig Zobel (Compliance) and written for the screen by Nissar Modi (Gringo Bay), Z for Zachariah is based on the award-winning book by Robert C. O’Brien.